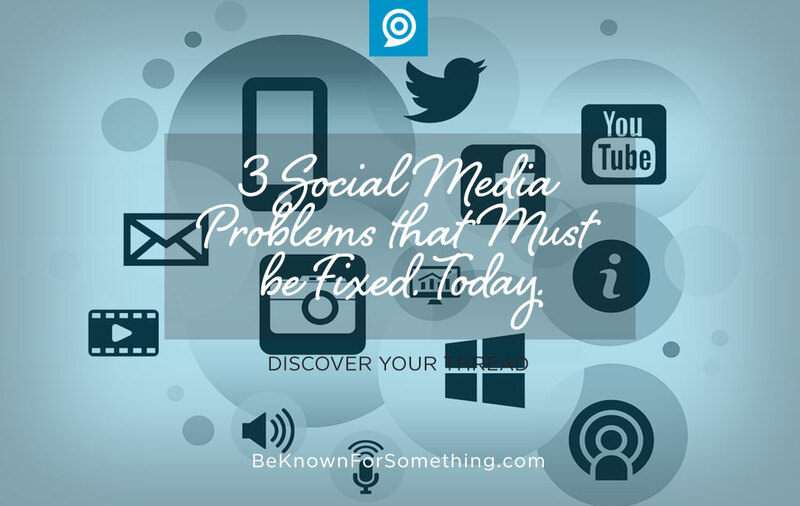 Be Known for Something : Discover Your Church Communication Thread / audience / 3 Social Media Problems that Must be Fixed. Today. At conferences, I often have someone approach me and want to ask me a question. They awkwardly describe their position and the church where they work. Finally, I ask “how can I help you?” before they say they are in charge of their social media accounts and are struggling with the task. No wonder. They can barely carry a conversation in person. So it’s reasonable to understand why they can’t carry an online conversation. Social media should be like an easy-to-follow talk with a great friend; an engagement that feels caring, fun, and not in the least bit awkward. But many church social media feeds feel very wrong. You don’t have a recognizable voice and/or thread. When people see your posts, they should recognize who’s talking, what you like to talk about, and receive a solution or benefit from most of your posts. Solution: Think about who you’re talking to and what concerns, needs or goals they have. Discover your solution thread, and consider the voice that should deliver it. Is it fun? Vibrant? Serious? The more expected you can become, the more you can build a following that will be engaged. Your solution should help identify the emotion that’s felt when it’s received. Your voice should be similar. You have too many promotional posts and not enough entertainment. Often, in an attempt to develop regular content, a church will extend their bulletin and announcements onto their daily social walls. In order for this to work, promotional posts need to be creatively done. Remember, like television, social media is viewed as an entertainment outlet. Solution: Entertain like a great TV show (control the story, have returning characters, a compelling plot, and make sure it’s episodic), and in your promotion, entertain like a great commercial (be clever and short with a clear, measurable call-to-action). You have lots of posts but few are listening. Look at your numbers. Many churches have very few people following their feeds. At what point do you say, “it’s not worth the effort”? If you don’t have many joining the conversation, your conversation isn’t worth engaging. So stop it, or… Solution: Write down the type of people you’re trying to attract to your feed (personas). Is it just your congregation? Certain types of people in your community? Then set goals for how many you want to follow you. You should easily get more following you on your feeds than those who attend your church (unless you truly want to limit your followers to your congregation — which I wouldn’t suggest). Create your voice and thread, identify when engagement happens, and replicate that content regularly. Once the content is right, run social ads to gain followers. If the content is correct, you’ll have many followers. 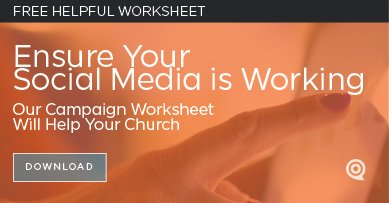 Social media is a legitimate way to extend your messaging, allow your congregation to engage, or to attract your unchurched community. It does take a lot of work though, trying various strategies and altering course as needed. But, like attempting to meet new people in person, a conversationalist will enjoy the challenge. Make sure you have that person in charge of your social media.